The Port & Company – Ultimate Pullover Hooded Sweatshirt Style PC90H is available in Adult Sizes: S-4XL and comes in the following colors: Ash, Athletic Heather, Cardinal, Charcoal, Dark Chocolate Brown, Dark Green, Gold, Jet Black, Kelly Green, Maroon, Navy, Orange, Pale Pink, Purple, Red, Royal, Safety Green, Safety Orange, White. Bulk orders of 20 or more of the same product may qualify for discounts. If you would like to personalize this product please contact us for services and pricing. 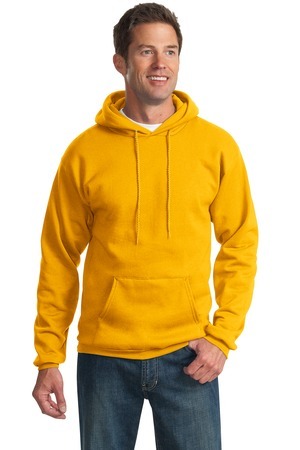 Be the first to review “Port & Company – Ultimate Pullover Hooded Sweatshirt Style PC90H” Click here to cancel reply.